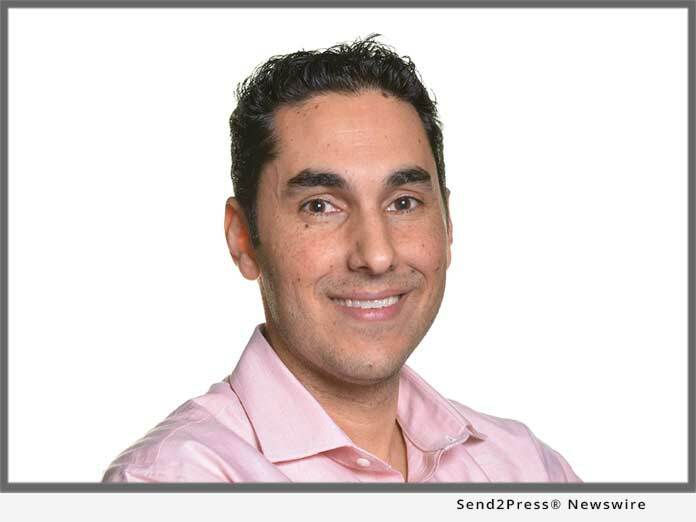 IRVINE, Calif., Sep 21, 2018 (SEND2PRESS NEWSWIRE) — Cloudvirga(TM), a leading provider of digital mortgage software, today announced that company Co-founder Kyle Kamrooz has been named a 2018 “Innovator of the Year” by the Orange County Business Journal (OCBJ). Kamrooz was selected from a competitive field of over 70 nominees and honored at an awards luncheon at Hotel Irvine on September 20. Now in its fourth year, the OCBJ’s Innovator of the Year program celebrates individuals and organizations based in Orange County, California, who are creating game-changing products and services and who demonstrate brilliance and leadership in innovation. Past winners include leaders from Allergan (NYSE: AGN), Cylance, Edwards Lifesciences (NYSE: EW) and Vizio, among others. Kamrooz was recognized for his significant contributions to business innovation in Orange County and nationwide. His first business venture grew to become one of county’s largest direct-to-consumer lenders. He went on to serve as executive vice president at Calabasas-based Skyline Home Loans before founding Cloudvirga, a company that helps top lenders automate the loan process and empowers borrowers with greater transparency and engagement in the mortgage transaction. Cloudvirga has experienced exponential growth in its first three years. Cloudvirga is already the digital mortgage technology used by eight of the top 40 mortgage lenders in the United States, and the company closed a Series C funding round that raised $50 million in May. Kamrooz is the recipient of numerous awards for innovation and leadership. He was a finalist for the OCBJ’s Innovator of the Year program in both 2016 and 2017. He has also been recognized by HousingWire magazine as a Vanguard Award winner and by Entrepreneur magazine as an Inspiring Tech Entrepreneur Under 40. He is an active member of the Forbes Finance Council, an invitation-only community for senior-level finance executives. Cloudvirga’s digital mortgage point-of-sale (POS) software, powered by the intelligent Mortgage Platform(r), uniquely combines a world-class borrower experience with a truly automated lender workflow that radically cuts overall loan costs, increases transparency and reduces the time to close a loan. Led by top fintech veterans with a track record of building successful mortgage technologies, Cloudvirga’s customer base includes eight of the top 40 non-bank mortgage originators. To date, Cloudvirga has raised over $77 million from some of the country’s top lenders and private-equity firms.